Old-style tin can in Organ Pipe Cactus National Monument near gold, silver, and copper mines. I love the history of small mines that were made back in the 1800s. Some are surface mines while some are underground. 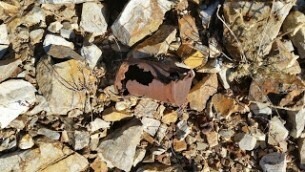 Relics can sometimes be found in the area, like old food cans used by the miners (please take pictures and leave the relics). 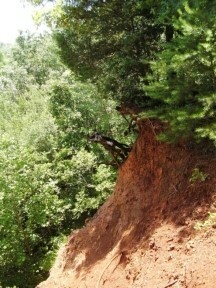 I’ve seen mines like these on hikes in Arizona, Tennessee, and Michigan, but they are located all over the United States. Most of these mines are closed and are not safe. Some are open for tours like the silver mine tour in Tombstone, Arizona. Sometimes you can tell small copper mines by the green color of the rocks on the ground, which can be ores such as malachite. For instance, the only mine we found in the Superstition Mountains in Arizona wasn’t gold but copper. Of course, you can look for the Lost Dutchman Mine, where gold was supposedly found by Jacob “Dutchman” Waltz back in the 1880s. Open pit and underground mines in Bisbee, Arizona. Many of these mines are still being worked or recently closed. 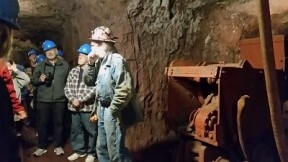 Bisbee, Arizona, has both a large pit open for viewing along with tours to the underground mine. Besides copper, there was silver, gold, lead, zinc, and magnesium mined here. South of Tucson, Arizona, is the large open pit copper mine of Asarco. There is a museum along with a guided tour of the pit. The Morenci Mine in Arizona is a mind-boggling drive. Large pits can also be found in New Mexico. Near Silver City is the large Chino Mine, which is one of the largest and oldest in the world. Native Americans and Spanish explorers have mined copper here. Now you can see massive open pits where the ore is being removed. Several miles away, you can see large hills of tailings (what is left after the copper is removed). Essentially, they are moving mountains to find copper! The Bingham Canyon Mine in Utah (also called the Kennecott Copper Mine) is considered the largest man-made excavation in the world and has produce millions of tons of copper over the years. Besides copper mines, Michigan has open mines, mine pits, and several underground tours available for iron mines. The Soudan Underground Mine is a terrific tour. The trip down seemed like an amusement ride, while the mine train and guide talk was excellent. 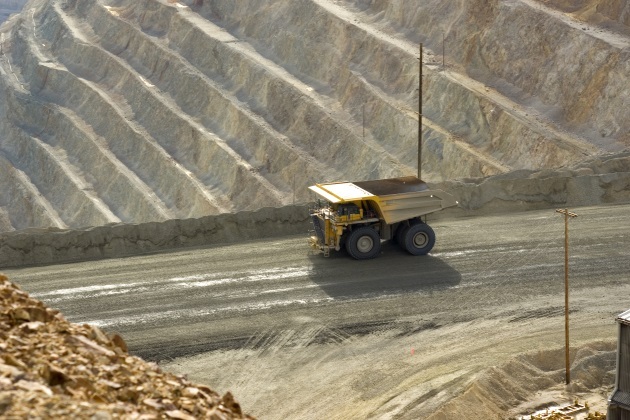 Ore may be processed before shipment to concentrate the metal and reduce shipping costs. Historical items turn up in the most unexpected locations. 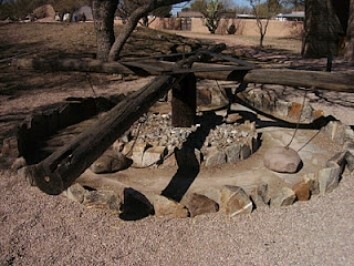 On a visit to the Presidio in Tubac, Arizona, we saw a restored turnstile that was used with animal power to break up silver ore.
Piles of colorful tailings can be found within sight along many roads. Interestingly, some of the mountains of tailings are being reprocessed, since modern methods can extract more metals. Plus, tailings tend to have gold, copper, silver, and molybdenum along with rare metals like neodymium, platinum, iridium, and palladium that are critical for modern electronics. Metal furnaces are typically located in places that have ores plus other needed resources nearby. 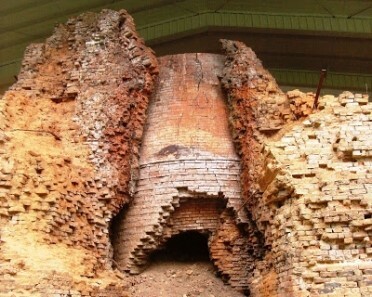 Many historical furnaces are small. These types can be found deep in the woods like hidden pyramids. Tannehill Ironworks Historical State Park in Alabama has old ironworks from the Civil War era plus a great little museum. 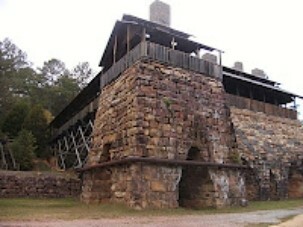 The Brierfield Ironworks State Park also has an iron furnace from the same era. Larger, more modern mills exist that are open for tours like the Sloss Furnaces in Birmingham, Alabama. As an extra, a Vulcan cast iron statue (god of fire and metalworking) made for the 1904 St. Louis World’s Fair can be found 10 minutes away. 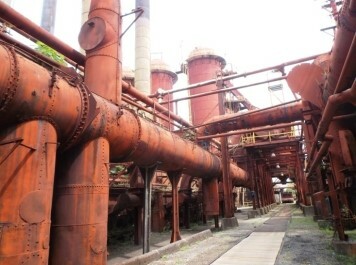 The historic steel landmark of Carrie Blast Furnaces near Pittsburgh is open seasonally for tours. Even the rust is picturesque. Both Sloss and Carrie have special information for photographers. Visiting locations tied to metals is interesting to people interested in geology, metallurgy, and history. It is fascinating to see the work involved to bring us the materials we take for granted. Have you found some interesting spots related to metals?